Expert Witnesses for Car Accident Cases | Hupy and Abraham, S.C.
As you try to recover from your accident injuries, you have a lot on your mind. You may be worried about your physical recovery, how you will pay your bills, and when you will get back to your regular activities. Your car accident case may be the first time you’ve ever been involved in litigation and you may have questions about witnesses—especially expert witnesses. Who is an expert? An expert is someone who is knowledgeable based on his education or experience. An expert’s opinion must be reliable. Some examples of expert witnesses who may be useful in a car accident case include doctors, accident reconstructionists, engineers, and economists. Do I really need an expert witness? Not every case requires expert witnesses. Similarly, you may not need every type of expert witness for your case. For example, if what caused the accident is relatively straightforward but your accident injuries were complicated, then you might not need an accident reconstructionist. You may also benefit from the testimony of a doctor. How can an expert help my case? Generally, an expert can provide testimony on an important aspect of your case. What that testimony is will depend on what type of expert is involved. For example, an accident reconstructionist can provide useful information about why your accident happened and may help convince a jury to find the other party negligent. Can I even afford an expert? Your attorney should talk to you about how the expert will be paid. In some cases, your lawyer may pay the expert on your behalf and be reimbursed through your eventual settlement or court verdict. 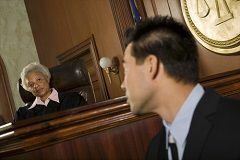 How can I find an expert witness? This is likely the first (and hopefully the last) time that you will be involved in a complicated car accident case, but the same is not true for your car accident lawyer. Experienced attorneys know different expert witnesses and can secure the right witnesses for your case. Will I get a larger settlement if I have an expert witness? That is the goal. If your lawyer does not think that your recovery will be larger with an expert witness, then an expert should not be used in your case. Deciding whether or not to hire an expert is an important decision. It is important to consider all of the pros and cons and to make an informed decision based on all of the facts of your case so that you can get the fair and just recovery that you deserve.